Celebrate your summer BBQ in style with our new BBQ Stamp Set. 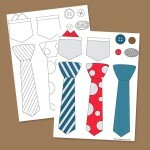 Perfect for Father's Day cards, BBQ part invitations, thank you cards and more. Use the Ez Print PDF to print them out as stickers.